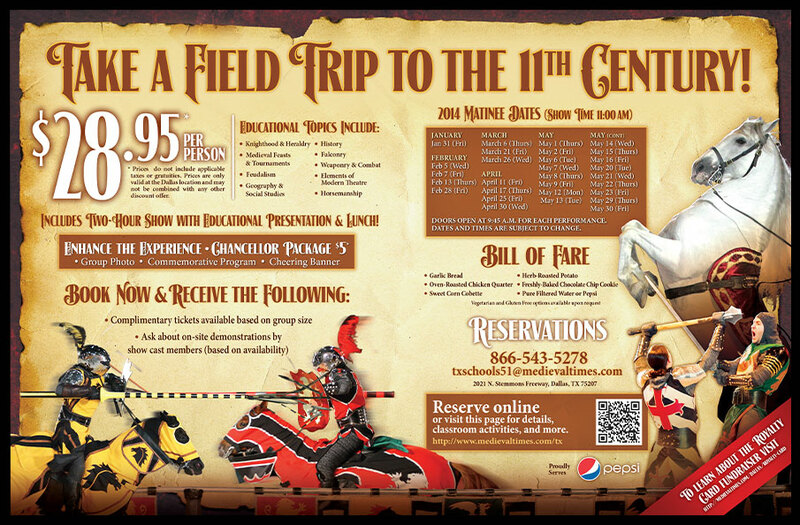 Medieval Times Dinner & Tournament offers children a truly unique and interactive educational experience about life in the Middle Ages. 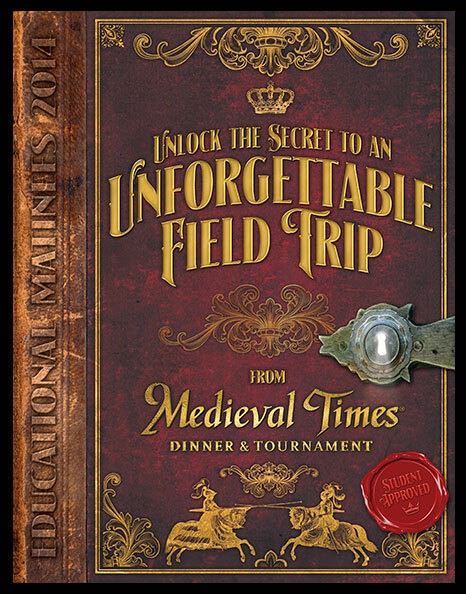 For these special matinee events, Medieval Times wanted to send out a mailer that really caught the attention of teachers and parents. The result was a 11th century style mailer, that embodied the class and elegance of that era. This mailer exceeded all expectations and was a project that was unforgettable for Grafx.